"You need discipline to be an actor" was the advice given by one of Tollywood's greatest actors, Chiranjeevi, to his aspiring-actor son, Ram Charan Tej. He had not always wanted to be an actor - and even dreamt of being an entrepreneur to rival his father's reputation. But the adoration he witnessed from his father's fans eventually got to him. He made his own decision to join the industry, and now loves the movie business. 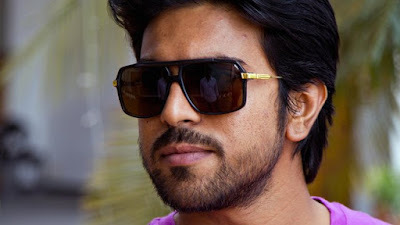 He now has three movies behind him, and is working on a fourth, Racha, due to be released next year. His price tag is between $2m and $3m per movie. He has already witnessed the highs and the lows of the industry. His second film, Magadheera, was the highest grossing Telugu movie at the box office. However, the third film did not live up to those expectations. The 26-year-old challenges the idea of the industry as glamorous. "I rarely take a holiday on Sundays," he points out, and he has already had his share of accidents on movie sets, as he does his own stunts. Movies have become big business, but for him, choosing movies and scripts is about choosing what his audiences love. He dislikes intellectual movies, preferring simpler themes that "connect with the heart", and resonate with audiences.